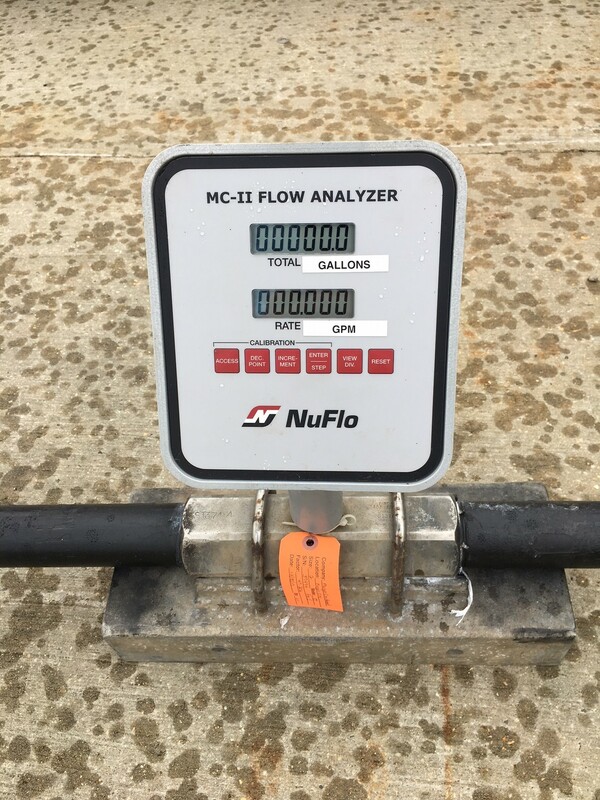 NUFLO LT standard piping liquid turbine flow meters indicate flow rate and measure total throughput of a liquid line. As liquid flows through the meter and over the rotor, the rotor turns at a speed that is directly proportional to the flow rate. A magnetic pickup senses the rotor blades as they pass and generates an electrical (sine wave) signal. These electrical pulses are then transmitted to the flow measurement readout equipment. See turbine flow meter specification page here. Units come with Turbine and Analyzer GPM or BPM set upon request.